Paul is currently working on getting his Business degree at Saint Mary’s in Moraga. He is a CF L1 Certified Trainer and has been practicing the CrossFit methodology since 2012. He started CrossFit after high school, and has been with us at CrossFit Danville since we first opened our doors. Paul was never into competitive sports growing up but needed an outlet to put his energy towards a healthier lifestyle. 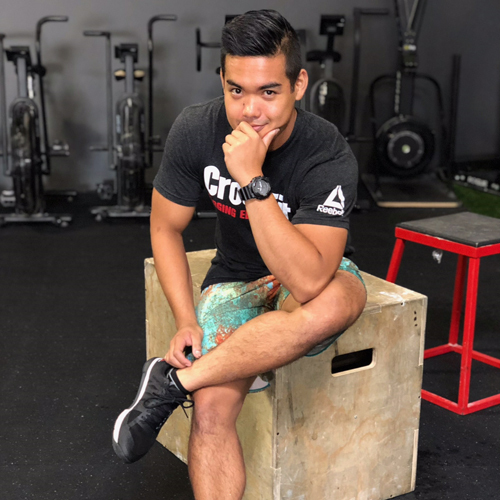 He started venturing in the fitness world back when he was high school and found CrossFit shortly after and hasn’t looked back since. Paul enjoys lifting heavy barbells and has learned to love intensity during workouts. More than anything, the community aspect of CFD is Paul’s favorite part of the gym because of the supportive environment that it fosters that ultimately sets members up for a better lifestyle.